At Campsite Las Closas in Err (Pyrénées-Orientales) camping costs as little as €18,- per night during low season with CampingCard ACSI. 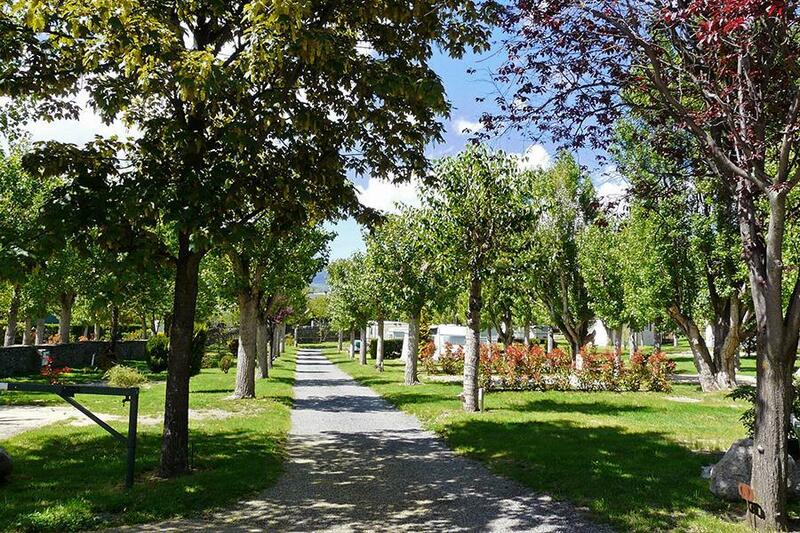 At one of the 114 touring pitches you will get a discounted rate during the period 27-04-2019 - 30-06-2019 and 26-08-2019 - 29-09-2019. At this campsite you can not only use your CampingCard ACSI for inexpensive camping, you can also use your ACSI Club ID (as an alternative ID). Las Closas campsite is located in the village of Err with views of Pic Carlit and Puigmal. 100 metres from the heated municipal swimming pool (15/6 - 15/9). Enjoy the natural surroundings and the extensive walking trails in this mountainous area. A visit to the El Segre Gorge at Llo is a must. An ACSI gem. Quiet, relaxed and relaxing campsite. Fully serviced pitches. Nearby butcher and baker excellent. Great opportunity for walking from the campsite. Will visit again. Càmping de muntanya francès tranquil amb els serveis mínims indispensables. Parcel·les grans, amb herba natural i alguna amb aigua. Petit parc lúdic pels nens. No hi ha piscina, tot i què a 500m hi han dos instal·lacions, una de piscines i una altre de trampolins. Al poble hi han algunes botigues per comprar l'indispensable. Diumenge hi ha mercat just al davant. Des del càmping hi ha molta varietat d'excursions a peu o en bicicleta. Retired couple May 2016. Helpful staff. Pitches varied in size. Only a few tourers on site. Site was geared up for winter use. It was cool at night maybe due to high altitude. Water was available on some pitches but needed staff to switch on. Free Wi-Fi on pitch which needed resetting after a short period of use. Close to Font Romeu. Would you like to book Campsite Las Closas or request more information? You can do both using the information below. The campsite is signposted at the exit Err on the N116 from Mont-Louis to Bourg-Madame. CampingCard ACSI will send your information request to "Campsite Las Closas".